Undefeated WBO Inter-Continental Super-Lightweight Champion Jack Catterall is backing Liam Walsh to dethrone IBF King Gervonta Davis when the pair clash in a blockbuster World Title showdown at the Copper Box Arena on Saturday 20th May, live on BT Sport and BoxNation. 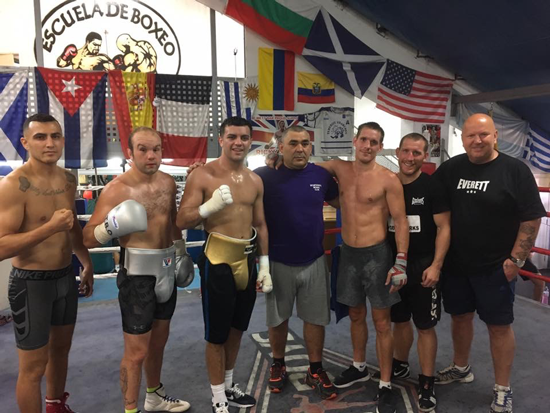 ‘El Gato’ has been been sparring with Cromer hero Walsh at the Club Boxeo Povedano De Arona gym in Tenerife. The Chorley man believes former British Champion Walsh will be able to defeat Floyd Mayweather protege Davis by using his superior boxing brain. “I’ve been sparring Liam in Tenerife and he’s looking really, really good,” said Catterall. “His timing and footwork are brilliant. I was very impressed. I’ve also sparred Gervonta’s brother Malik Hawkins at the Mayweather gym. An action-packed undercard features Light-Heavyweight knockout artist Anthony Yarde taking on Southern Area Champion Chris Hobbs for his first professional title; teenage Heavyweight monster Daniel Dubois goes in search of another big knockout; plus Southampton’s Joe Pigford and Barking’s Aaron Morgan put their unbeaten records on the line in a potential barn burner. Local talent including Harrow’s Mitchell Smith; Hornchurch Super-Welterweight ‘Hammer’ Sammy McNess; Sikh sensation Sanjeev Singh Sahota;Chingford Super-Featherweight Boy Jones Jnr; Ilford Super-Bantamweight Lucien Reid; New Malden Super-Middleweight Lerrone Richards; Welling Super-Featherweight Archie Sharp; Chelmsford Super-Middleweight Billy Long; Croydon Flyweight Sunny Edwards; and Wycombe Ben Smith complete an unmissable card. All floor seating at the Copper Box Arena has SOLD OUT.